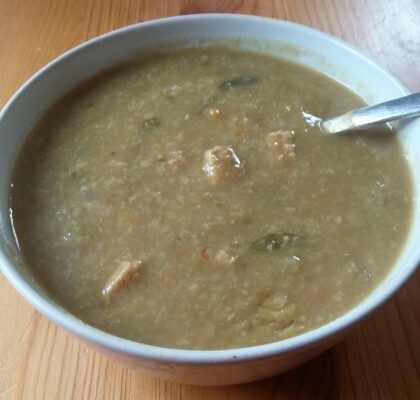 There’s nothing like a warm bowl of soup on a cold winter day. It’s been cold and it’s going to get colder, so I like to make thicker soups that feel like they stick to your bones. It’s more than just a soup, it’s a meal in itself. 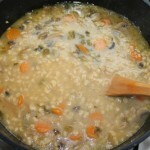 Mushroom Barley Soup is a wonderfully rich soup that I’ve been making for years. 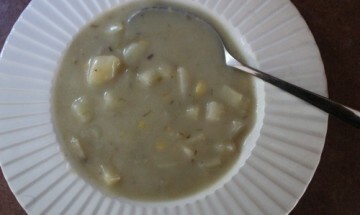 This is one of my family’s favorite soups. 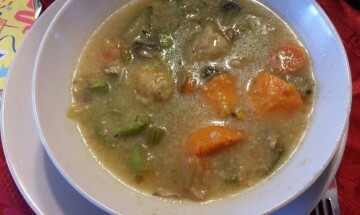 I try to switch up the soups that I make every week. When this one rolls around, the kids are very happy. Barley is my favorite grain. This soup is a very hearty soup. In a large soup pot, heat up olive oil. Add onion to oil and cook for 3 minutes. Add garlic, carrots and celery and cook until onions are translucent. Add mushrooms and cook them down. The truth of the matter is that I really like to cook this soup for a long time. The longer you cook it, the thicker it gets. I’ll keep it on the stove for 3 or 4 hours on a low flame. If you do cook it for more than an hour make sure that you check the height of the water in the pot. I’m getting all warm and fuzzy just thinking about it! 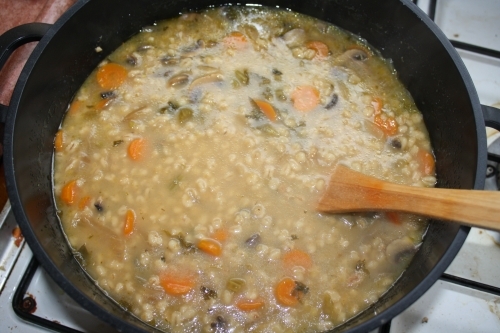 What kind of barley do you use in the barley mushroom soup? the quick grocery store kind? The unprocessed from the health food store? I always wonder about that, not having worked with barley a lot. . . I like using pearl barley. I just think that it tastes better. I love using barley instead of rice as a side dish. It’s easy to make and tastes yummy.